A delegation led by Vice Premier Liu He commenced negotiations with U.S. counterparts on Wednesday January 30th. 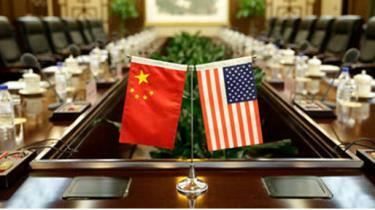 It is anticipated that the Chinese delegation will confirm orders for U.S. farm products and energy. The more substantial question of coercive trade practices, intellectual theft and industrial espionage have yet to be addressed. An important U.S. consideration expected to be opposed by China, relates to state subsidies for favored industries. A successful resolution of both trade and structural issues will be required before the March 1st deadline imposed by the President. Failure to achieve consensus will result in an increase of the currentc10 percent tariff to 25 percent on approximately $200 billion in goods imported annually from China. It is probable that if progress is made in the current round that the Presidents of the two nations will meet somewhere in southeast Asia in early March.